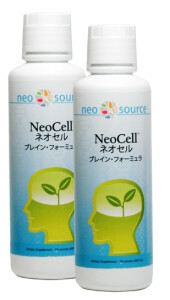 NeoCell+ combines everything great about NeoCell liquid formula, adds 6 more brain power ingredients and puts it in a little capsule that is more convenient and easy to swallow. A healthy brain increases the health and vitality of every part of your body. NeoCell+ includes more than 20 nutrients and plant extracts in their most active forms to give you the best brain nutrition. It contains Dr. Gibson’s hand-selected proprietary nutrients. 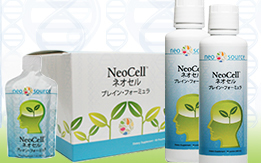 NeoCell+ Delivers Vibrant Health and Wellness in 4 Ways! Nourishes your brain – NeoCell+’s wide range of nutrients like MCT oil, magnesium, blueberry and B vitamins gives your brain the nutrients it’s hungry for. Promotes optimal brain function – NeoCell+’s high levels of important phytonutrients help sustain our intensely active brain cells. Soothes your brain –GABA, Lecithin, and Hypericum help your brain to be calm. Protects your brain – NeoCell+’s wide array of antioxidants including turmeric, alpha lipoic acid and selenium protect and repair your brain. NeoCell+ provides you with an all-star lineup of potent ingredients that support the brain’s energy, connectivity, and overall performance. This product is brain directed nutrition, grounded in solid basic and clinical science to support healthy brain and memory performance. NeoCell+ is advanced nutrition to help with depression, anxiety, stress, insomnia, mood swings, brain fog, memory issues and ADD. It also helps to prevent neurological conditions like Alzheimer’s, Parkinson’s and MS.
St. John’s Wort: This herbal extract is standardized to contain the highest available concentration of hypericin, a natural compound which nutritionally supports emotional health. Many researchers believe that hypericin maintains healthy mood and emotional health by promoting serotonin and is a natural way to promote feelings of emotional well-being. NEW! MCT Oil boost cognitive performance in older adults suffering from memory disorders. Your brain is largely made up of fatty acids, so you need a steady supply from your diet to feel your best, think clearly, perform well at work and stay sharp well into older age. Medium-chain fats are believed to be one of the most easily digested, utilized and protective fatty acids that exists. GABA is the main inhibitory neurotransmitter for the central nervous system, and plays a central role in regulating cell-to-cell communication. GABA also enhances alpha wave production in the brain to promote relaxation and moderate occasional stress and supports immune health during occasional stress. NEW! ALA (Alpha Lipoic Acid) and Blueberry extract) Both of these alone are superb antioxidants. In NeoCell+ they also serve to that work synergistically with the other ingredients enhancing the overall effectiveness of the formula. L-Taurine enables GABA receptors in the thalamus of the brain, essential to neurological development and healing. NEW! Turmeric with a touch of Black pepper powder to turbocharge its numerous benefits for the brain. It is a strong anti-oxidant for protecting the brain as well as a powerful natural anti-depressant. Phospholipids: An important class of biological molecules that serve both structural and functional roles in cellular reproduction. Phospholipids are essential for the continued existence of every cell in your body but are most concentrated in the brain. Phospholipid balance in the brain encourages positive mood, improved cognition and memory recall according to studies on older adults. NEW! DMAE has been called the fountain of youth for two reasons: it fights against facial sagging and is an excellent mood enhancer that will improve memory and learning, heighten intelligence, increase physical energy . Calcium, Magnesium, and Selenium are essential minerals for the brain. They benefit cognitive function and are essential to brain health and triggers signaling pathways essential to memory. Trimethylglycine (TMG) is essential to the synthesis of dopamine and serotonin, choline, folic acid, vitamin B12, melatonin, and CoQ10. Suggested Use for Maintenance: Best taken with food. For best results take ½ dose in the morning and ½ in the afternoon. Quest Group offers this information for educational purposes only. They should not be regarded or relied on as medical advice. This information has not been evaluated by the FDA. Quest Group products are not intended to diagnose, treat, cure or prevent any disease. Results may vary from person to person. Please consult your health practitioner if you have health problems. Phytonutrients to protect your body from damage. Super Botanic Blend. Even if you eat, drink and live clean—which are all healthy and recommended—sometimes your body still needs to detox. We have an ever-increasing toxic environment. Some toxins cannot be avoided. They are in our water, food, and the air we breathe. Poor eating and other unhealthy lifestyle practices add to the problem and can make our bodies a toxic dumping ground. The good news is that our bodies have a built-in detoxification system which includes the liver, colon, kidneys, gallbladder, skin, lymph nodes and the blood, that when working well, removes toxins from the body. But in our polluted world those bodily organs can get overrun with toxins and need some outside help and support to detox. There are many health advantages to detoxifying. Detoxification can boost healthy cells, immune function, digestive health, metabolism, joint health, clearer thinking, energy levels and more. Most disease is caused by cellular toxicity include cancer, auto-immune and neurological diseases. Detox happens at the cellular level. 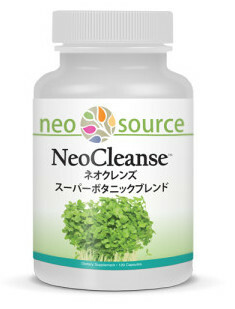 The NeoCleanse super phytonutrient blend is specifically designed to first clean the toxins out of the cells, then it supports the colon, kidney and liver to flush them out of your body. All NeoCleanse ingredients are cold processed to preserve the whole food value of the natural green superfood. They are non-GMO certified and organic. Chlorella: Packed with nutrients, like beta-carotene, potassium, phosphorus, biotin, magnesium, B-complex vitamin and certain amino acids, chlorella is a true superfood which has the proven ability to wrap itself around toxins such as mercury, lead, cadmium and uranium, keeping them from being reabsorbed by the body. Taking chlorella regularly can keep heavy metals from accumulating in your body. It also guards against ultraviolet radiation while removing radioactive particles from the body. Spirulina: A very unique one-celled organism high in chlorophyll and protein and a powerful array of essential amino acids. It nourishes and protects the liver for greater cleansing affect and inflammation reduction. It binds to heavy metals and radioactive isotopes. Kelp variety: This rich, exclusive blend of potent sea vegetables is high in nutritional elements. Kelp contains virtually every trace mineral known to man. Broccoli Sprouts: NeoCleanse contains broccoli sprouts with most potent levels of glucoraphanin – a precursor to SGS or sulforaphane, a bioactive compound that has proven in hundreds of medical studies to have antioxidant properties that enhances the detoxification process. You would have to eat about 500 grams of broccoli to get the same amount of SGS you get from one capsule of this supplement. Wheat grass, Barley grass and Alfalfa leaf: These green superfoods contain up to 1,000 natural enzymes necessary for cellular health. Barley grass has one of the highest natural levels of enzyme SOD (superoxide dismutase), which is a powerful antioxidant that protects the cells against toxic free radicals. Alfalfa is naturally high in many essential vitamins and minerals, including A, D, E, K, and even the full family of B vitamins; biotin, calcium, folic acid, iron, magnesium, potassium and many others, as well as being very high in protein, especially when dried. Alfalfa helps to maintain healthy cells by reducing tissue damage from radiation exposure, and neutralize acidity in the body, which helps to maintain a healthy bladder and urinary tract necessary for detox. The Super Greens Blend is packed with chlorophyll, a natural detoxifier that rids the intestines of stored toxins. These organic grasses are highly alkalizing to the body, essential to detoxification and reducing chronic inflammation. Take 1-3 capsules daily with water. Just as it takes years to accumulate high levels of heavy metals and environmental toxins within the body, the process of gently and systematically removing these harmful substances from deep within the tissues and organs will take time as well. The suggested protocol for the safe removal of heavy metals and radiation contamination is three months and includes dietary and lifestyle changes supplemented with NeoCleanse. The maintenance recommended usage is 3 capsules daily taken with water. Please refer to the NeoCleanse 90 Day Protocol for more details. As with any detox, it is essential to drink enough water. Be sure to be getting 1.5 to 2 liters daily to ensure the toxins being released from your cells are being flushed from your system. Onaka Support™ is a perfect blend of 10 strains of probiotic bacteria (approximately 2.2 billion CFUs* per 2 tablet serving) designed for children to support their immune and digestive systems. 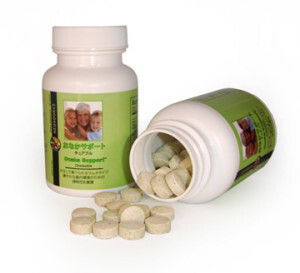 Onaka Support also contains pre-biotics as short-chain fructooligosaccharides, also known as scFOS. Prebiotics stimulate the growth and activity of friendly bacteria in the digestive system and assist in the digestive process. The chewable tablets have an apple flavor that kids love! Also includes pre-biotics (scFOS) useful in promoting the growth of probiotic gut microflora, exerting positive effects on digestive health and regularity, to support mineral absorption and immune function. Quest Group probiotics are produced fresh from natural sources for every production run. This results in a profoundly more effective product than just buying stored probiotic ingredients. Onaka Support combines 10 different strains of the most well known probiotics – Lactobacillus and Bifidobacterium – species that are known to work together to maintain a balance of “good” flora in the digestive tract. We also include scFOS, a natural, soluble prebiotic fiber, to help promote growth of beneficial bacteria in the digestive tract by producing “food” for this growth. Short-chain FOS (scFOS) is unique because it can be utilized more quickly than other types of FOS. Prebiotics are found in foods like onions, garlic, leeks, artichokes, peas, beans and more. The FOS in Onaka Support is derived from non-GMO beet or cane sugar, and it is added to support probiotic growth and digestive health. Ionic Plant Based Minerals – Over 30 plant based minerals are harvested from the shores of the Great Salt Lake in Utah. The minerals are sterilized and reduced to an ultra-fine powder. Inulins are a group of naturally occurring polysaccharides produced from many types of plants such as yam, onion, garlic, agave, elecampane, dandelion and more. Inulin belongs to a class of fibers known as fructans. Inulin is a prebiotic dietary fiber that is a digestive aid and promotes growth of beneficial bacteria in the digestive tract. Supported by the results of a large number of scientifically substantiated animal studies and human nutrition intervention trials, inulin-type fructans enhance calcium and magnesium absorption. Inulin also acts as a natural sweetener in Onaka Support. The organic oat grass powder in Onaka Support is harvested fresh for each production. First the fresh oat grass is juiced, freeze dried and then ground into a nutrient dense powder. Barley grass powder is harvested fresh from nutrient rich soils for each production of Onaka Support. This specially grown grass has a superior nutrient content to commercially processed barley. The barley grass is juiced, freeze dried and then ground into a nutrient dense powder. Suggested Use: Adults and children ages 2 and older, take 2-4 tablets daily. Directions: Store in a cool, dry place. Refrigeration after opening is only suggested if in a hot and humid climate. As with any natural product, color and taste may vary. * CFU is “Colony Forming Unit”, a measure of live bacteria. Your brain is like a powerful computer. It stores memories and controls how you move, breathe, think and react. It also is the control center that subconsciously plays a role in all bodily functions. Compared to other mammals about the same size as you, you have a big brain that requires correct nutrition. The human brain is the most complex thing we have discovered in the universe. The brain contains over 100 billion nerve cells called neurons that regulate all electrical and chemical impulses. New brain cells are made by neural stem cells that divide and create new cells. If a brain cell is not healthy, it cannot create healthy new cells. These cells like other parts of your body require specific nutrients to survive and be effective for a healthy brain function. When deprived of those nutrients, you not only loose cognitive functions of reason, perception and memory, but you also enable many diseases. Humans have about the same number of brain cells at birth as in adulthood. As you learn and store memories, these brain cells grow and you make new connections between them. But as we age, some people notice a decrease in brain activity which is manifest in problems with memory, comprehension, concentration, alertness and mental outlook, all of which is affected by nutrition. 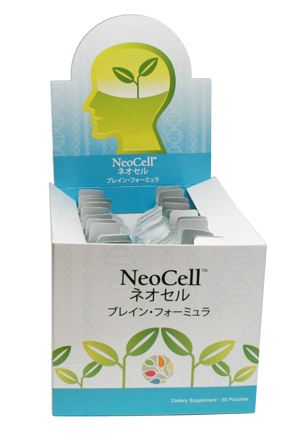 NeoCell is a supplement with nutrients to support brain health. St. John’s Wort: This herbal extract is standardized to contain the highest available concentration of hypericin, a natural compound which nutritionally supports emotional health. Many researchers believe that hypericin maintains healthy mood and emotional health by promoting serotonin and is a well-tolerated, natural way to promote feelings of emotional well-being. GABA is the main inhibitory neurotransmitter for the central nervous system, and plays a central role in regulating cell-to-cell communication. A recent study indicates that GABA also enhances alpha wave production in the brain to promote relaxation and moderate occasional stress and supports immune health during occasional stress. Calcium Essential to brain health and triggers signaling pathways essential to memory. Trimethylglycine (TMG) is an organic compound found in sugar beets. Essential to the synthesis of dopamine and serotonin, choline, folic acid, vitamin B12, melatonin, and CoQ10. Magnesium Benefits cognitive function and is used to treat depression, anxiety, ADHD and Alzhiemers. Blend of Omega-3, Omega-6 & Omega-9 Essential Fatty Acids. The neurons in our brain cells use fatty acid molecules extensively to build their cell walls. Proprietary Blend (Borage Oil, Soy Lecithin, Safflower, and Pumpkin Seed: Borage oil is rich in GLA, an omega-6 fatty acid. Soy Lecithin is rich in phospholipids. Safflower is rich in linoleic acids. Pumpkin seed is a natural anti-inflammatory. 11 other essential minerals and vitamins are included in NeoCell. Suggested Use: Best taken with food and may be mixed juice for best taste. For best results take ½ serving in the morning and ½ in the evening. 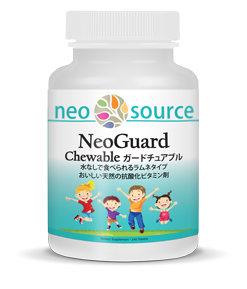 NeoGuard Chewable® is well a balanced nutritional supplement in a tasty chewable tablet designed for children and seniors. It combines many of the same ingredients found in NeoPak® and NeoGuard®. Why should a parent consider NeoGuard Chewable® for their children? Generally, kids prefer junk food and don’t get the nutrients needed in their diet to maintain health. It is a well known fact that today many of our foods are packaged, processed, cold stored, irradiated, and treated with pesticides. Even the “healthy” food kids eat is grown and harvested from land that has been over-farmed, and in many cases, the soil has been replenished with phosphorus, potassium, nitrogen, and chemical fertilizers. Food grown in depleted soils is weak in nutrient content and is one of the reasons children are not getting what they need for healthy growth and development. Our children are exposed everyday to environmental pollutants and have eating habits that don’t provide the nutrients needed to support their immune system and maintain optimal health. NeoGuard Chewable® provides nutrient dense 100% natural whole foods, vitamins, enzymes, phytonutrients, and antioxidants needed to support good health. A variety of sea greens that grow in shallow, mid level, and deep water—a source virtually unaffected by air pollution, water pollution, and harmful chemicals is included in NeoGuard Chewable®. The phytonutrients from sea vegetation grown and harvested from ocean waters are among the purest natural sources of many vital nutrients. The mineral content of sea vegetation is superior to land vegetation. The naturally grown or wild crafted nutrient dense ingredients in NeoGuard Chewable® help your child avoid the problems associated with many of the foods on the market today. Why do my kids suffer from frequent colds or flu? More than 200 different types of viruses cause colds. These viruses are transmitted by air and touch. Exposure to cold outdoor air and fatigue do not make you more likely to get a cold, although psychological stress may. People in large families are more likely to catch colds, as are children at school and day care centers and adult workers in office buildings. Most people diagnose and treat their own colds and do not see a doctor because antibiotics and antihistamines cannot help cure colds. Children can suffer colds for 10 to 14 days, sometimes missing school and causing parents to miss work before the symptoms are relieved. Because colds result from viral infections, there is no medicinal cure. But our body can fight colds for us. Feeding the body healthy nutrition that supports the natural immune function can prevent cold symptoms from ever advancing. Drinking plenty of water with NeoGuard Chewable® will help support your child’s natural immune system. It has been commonly reported that NeoGuard Chewable® users experience fewer colds and illness. 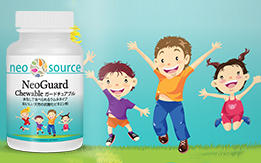 Will NeoGuard Chewable® help with attention, learning, and behavioral disorders? Our research and development team has spent many years studying attention disorders among children and discovered that by adding nutrient-dense foods to supplement their diet, the children appeared to stay on task, learn more easily, and were better behaved. Our doctor tells us that our child is dealing with a neurological issue and a good diet is not enough. How can NeoGuard Chewable® help? Part of the standard medical treatment for children with attention and concentration challenges often includes medication. The medications most commonly used increase the number of neurotransmitters in the brain to increase the child’s attention span. NeoGuard Chewable® supplies natural amino acid building blocks for these neurotransmitters in an easily assimilated non-toxic form. Some commonly reported benefits include, decreased allergy symptoms, reduced hyperactivity, improved focus and attention, and improved self-esteem. Do food additives hurt children? Recent medical studies indicate that many children are sensitive and react to chemicals, dyes, and preservatives often found in processed food products. There has been a significant increase in the amount of additives in foods, especially foods targeted and marketed towards children. There has also been an increase in learning and attention problems among children in our country. To help combat the effects of these growing concerns we have created NeoGuard Chewable®, which has been reported to help children overcome learning disabilities. Can food allergies contribute to the challenges that some children face? Research demonstrates that many allergic, hyperactive children do indeed react to certain foods such milk and processed products. It is thought that the proteins in these foods are not completely broken down in the digestion process and contribute to these symptoms. It has been commonly reported that removing these foods from the diet and supplementing with NeoGuard Chewable® can reduce these symptoms. NeoSpring® is a blend of vitamins and natural ingredients designed to help enhance energy, increase concentration, and lower stress. NeoSpring® is formulated for use in combination with all NeoSource® products. The vitamins and minerals found by modern science to maximize energy and improve heart and brain function have been combined in NeoSpring® with several natural plants and herbs. These natural ingredients have been used for thousands of years in ancient medicine practices of China and South America for the same effect. 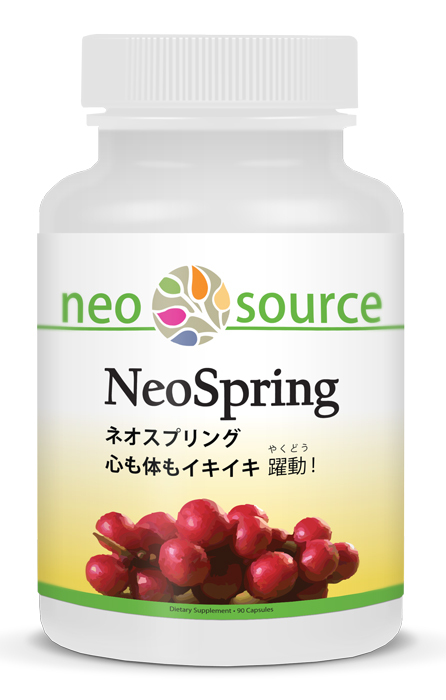 The ingredients in NeoSpring® have also been shown in clinical studies to help reduce the chances of stroke, prevent periodontal disease, lower the blood sugar of diabetics, reduce heart arrhythmia, lower angina pain, and prevent Alzheimer’s. Many of the ingredients used in NeoSpring® have been proven beneficial as dietary supplements, although there are no specific double blind studies testing NeoSpring®. For example, Coenzyme Q10 (CoQ10), a compound found naturally in the energy-producing center of the cell known as the mitochondria, has been scientifically tested. CoQ10 works as an antioxidant and is involved in the creation of an important molecule known as ATP. ATP serves as the cell’s major energy source and drives a number of biological processes, including muscle contraction and the production of protein. The guaraná in NeoSpring® comes from South America. The indigenous people of the Amazon rain forest have used crushed guaraná seed as a beverage and a medicine. Guaraná is known to treat diarrhea, decrease fatigue, reduce hunger, and to help arthritis. It also has a history of use in treating hangovers from alcohol abuse and headaches related to menstruation. 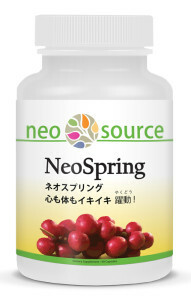 How does NeoSpring® help increase energy levels? The guaraná in NeoSpring® is a natural form of caffeine—a stimulant. Many people commonly use stimulants, like the caffeine in coffee and carbonated beverages, for increased concentration, stamina, and to optimize their sense of well being. With NeoSpring®, you can avoid the harmful bubbles in soda pop that wreak havoc on your digestive system and still enjoy that extra boost of energy from guaraná. You will find it easier to demonstrate your best skills when you take NeoSpring® 30 minutes before study, work, or sporting activities. SuperB+™ is a gentle holistic blend of natural ingredients for men and women. Formulated with beneficial ingredients for energy, skin health and concentration, SuperB+ also supports healthy heart function, strong muscles and concentration and is designed to be used in combination with other NeoSource products. B-vitamins are essential for everyone. They provide energy for brain cells by increasing mitochondria and choline which help protect the brain. Sufficient levels of Vitamin B are essential in managing stress. SuperB+ also includes saw palmetto berry has been traditionally used to support a healthy male prostate and to address cystitis in women. All the B vitamins are very important during pregnancy. Thiamine (B1) is important for your own health, as well as very important for your growing baby’s nervous system and heart. Riboflavin (B2) is important because it can help prevent low iron and anemia, which are common during pregnancy. Your growing baby takes a lot of riboflavin, leaving you with less. Niacin (B3) is very important for baby’s development, and very easy to obtain in the diet. 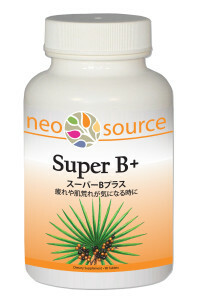 Vitamin B6 is known for eliminating morning sickness. B12 is an important vitamin that can really help with the low energy associated with pregnancy. Research indicates that eating healthy, exercise, and adding nutritional supplements included in SuperB+ are effective in avoiding common health problems for men such as prostate enlargement, impotence, sexual stamina, and hemorrhoids. SuperB+ is a safe alternative to recently popular ED drugs, which come with a long list of warnings particularly for cardiac function. Often erectile dysfunction (ED) is due to a dietary deficiency of vitamin B complex. 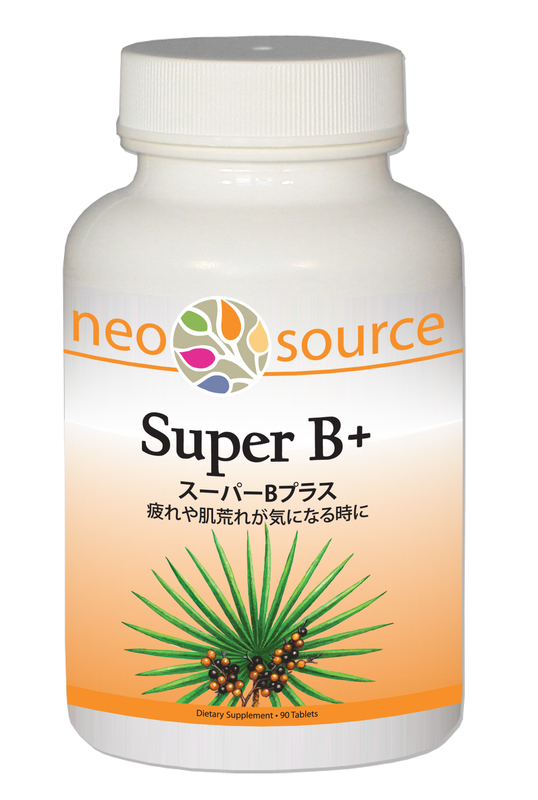 SuperB+ is a safe, natural vitamin/herb blend that allows your body to fix itself. It’s a safe choice and several customers have endearingly referred to SuperB+ as “fix-a-flat”. Take SuperB+ to optimize your body’s natural healing system. SuperB+ is a unique combination of vitamins, herbs, and nutrient rich sea vegetables formulated to work naturally body systems responsible for strength, stamina and brain function. As a dietary supplement take 2-3 tablets daily with meals. All the information and articles on this website are intended for educational purposes only. They should not be regarded or relied on as medical advice. This information has not been evaluated by the FDA. QGI products are not intended to diagnose, treat, cure or prevent any disease. Results may vary from person to person. Please consult your health practitioner if you have health problems. 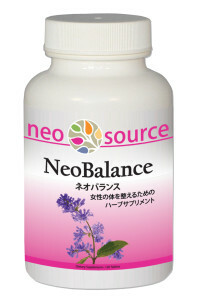 NeoBalance® is a gentle holistic blend of natural ingredients for women. It is formulated to be used in combination with NeoPak® and NeoGuard® with added beneficial ingredients for the specific health goals of women. How can NeoBalance™ benefit women? Many women seek relief with prescription medications to manage the pain and anxiety related to PMS. While these medications address the symptoms, they do little to address the causes. When given the right nutrients, the human body can do much better. 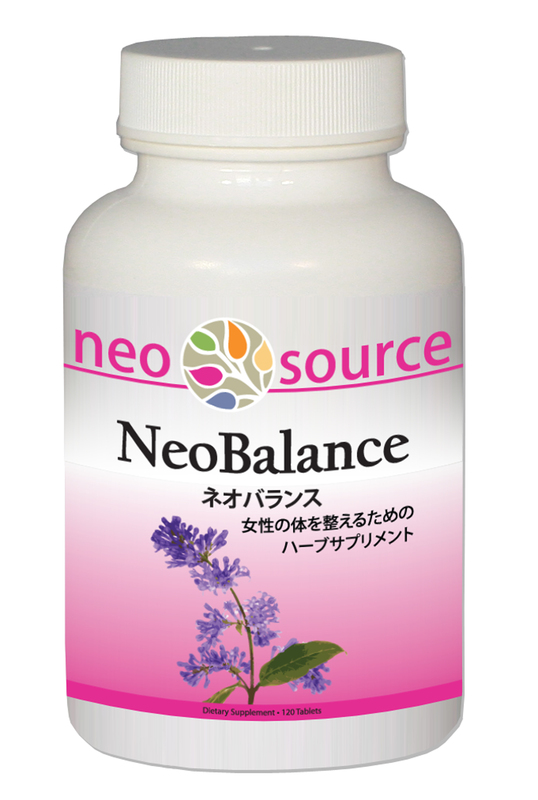 NeoBalance is a scientific blend of natural ingredients that provide support and balance to the body’s natural healing systems. Scientific evidence and clinical studies suggest that Vitamin B6 and magnesium may help relieve symptoms associated with PMS. Historically, the natural herbs found in NeoBalance have been used in China and the American Indian culture to address issues specific to women. In addition, avoiding carbonated beverages and regular exercise is commonly recommended. Is NeoBalance® appropriate for postmenopausal women? Menopause is a normal biological event that occurs on average at age 51 when menstruation stops permanently. It is marked by irregular menstrual cycles, hot flashes, night sweats, and mood changes. NeoBalance is a health choice that blends natural ingredients and nutrients like magnesium, calcium, black cohosh, and other natural supplements that have been recommended to alleviate the changes women experience during and after menopause. In addition, quitting a smoking habit, increasing exercise, and avoiding carbonated beverages is commonly recommended. As always, seek medical advice about how to deal with menopause, and don’t forget to make healthy choices that enable your body to naturally balance the effects of aging. How do I fight osteoporosis? Osteoporosis is sometimes considered a “silent disease” because bone loss can occur without symptoms. Osteoporosis or “porous bone,” is a disease of the skeleton in which the bones gradually lose density and begin to deteriorate. Ensuring adequate intake of calcium, magnesium, and vitamin D is vital. Weight-bearing exercise, such as walking and lifting weights can also help stave off the disease. Research has shown that exercise early in life boosts bone mass, while exercise later in life helps to maintain bone mass. As an antioxidant nutrient booster, NeoGuard® is best used in combination with NeoPak® for extra antioxidant support to optimize health and avoid illness. 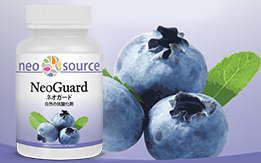 NeoGuard® blends a powerful combination of antioxidant nutrients to help you win the war against free radicals. How do antioxidant nutrients work? Antioxidants fight free radicals. Free radicals are unstable compounds in your body that have lost electrons. They exist naturally, but they are also introduced to the body unnaturally from oxidized compounds in unclean air, chemicals in foods and water, tobacco, etc. They damage health by stealing electrons from vital cells, attacking and oxidizing DNA (the genetic material that controls cell growth and regeneration and oxidizing cellular mitochondria, which robs you of energy and vitality). If free radicals are not quickly trapped, they set off a highly destructive oxidation chain reaction that damages more healthy cells at an increasing rate. We can protect ourselves from free radicals with antioxidants. An antioxidant is a compound that neutralizes free radicals and stops the destructive chain reaction process. Recent scientific and medical studies indicate that the big killer diseases like cancers, heart disease, stroke, and other dreaded diseases like Alzheimer’s are linked to free radical damage. Many antioxidants are key in the fight against free radicals. Some occur naturally in the healthy fruits and vegetables we eat. Other important antioxidants are impossible to obtain from our diet and must be added with supplementation. Anyone who eats processed foods, is ever exposed to pollution, and does not eat at least two pounds of organically grown vegetables and 5 servings of fresh fruit everyday should be using NeoGuard®. In other words, everyone can benefit from NeoGuard®. Nutritional deficiencies in our diet are known to cause aches and pains as well as illness and disease. Also, the oxidative stress on the body caused by free radicals may contribute to more than fifty other health conditions including acne, eczema, back pain, arthritis, high blood pressure, allergies, constipation, headaches and migraines, weak immune function, insomnia, general fatigue, irritability, depression, high cholesterol, and more. The antioxidant nutrition in NeoGuard® supports your body’s natural ability to prevent illness and disease. All ingredients in NeoGuard® are 100% natural and safe food substances and nutrients. The miracle of NeoGuard® lies in the natural ability your body has to regenerate with healthy cells, muscle, skin, and bones when given effective nutrition. Combining quality supplements with the healthy habits encouraged by the NeoSource® Wellness Program is safe and effective in improving your health. 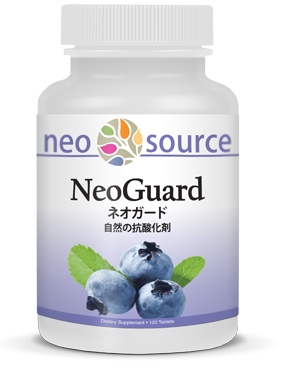 NeoGuard® is formulated with a proprietary blend of vitamins, minerals, and nutrient-dense whole foods in a unique antioxidant blend. Science has proven that antioxidants are more effective when combined. They function together much like a sports team. There are oil based and water based antioxidants that scavenge different free radicals. It is important to consume both types because they target different free radicals. For example, an oil-based free radical attacks the fat in cell membranes. Oil-based antioxidants neutralize these free radicals. On the other hand, there are water-based free radicals in your bloodstream that attack the mitochondria your blood cells. Only a water-based antioxidant can keep this from happening. Remember, oil and water don’t mix. There are also antioxidants that work directly and those that work indirectly. We need both. A direct antioxidant binds to a free radical and renders it harmless, thereby protecting cells from damage. Indirect antioxidants work as catalysts. They do not directly scavenge free radicals but rather boost the body’s own antioxidant systems. Effective combinations of antioxidants have actually been proven to work synergistically together, re-cycling over and over to neutralize free radicals. The NeoSource® research and development team has designed NeoGuard® with a blend of these natural nutrients and proven antioxidants specifically to use in combination with NeoPak and other NeoSource™ products for an unmatched synergistic effect. 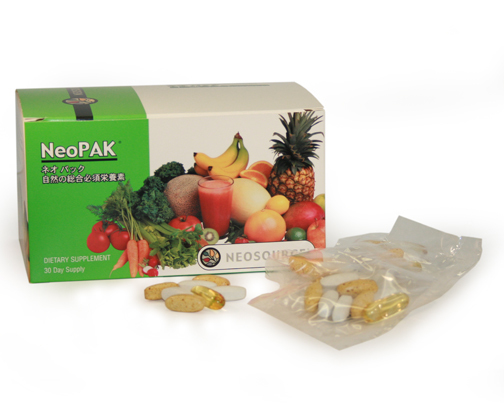 NeoPak® is the foundation of the product sets for building good health, including well balanced nutrition designed for adults in an easy-to-take daily packet. Most adults think of their bodies as fully grown. Actually, the individual cells in our body are dying and replacing themselves daily. Did you know that your body makes 200 billion red blood cells each day? It replaces all the blood in the body every 120 days. Skin is replaced every one to three months. Did you know that in just 90 days, your body breaks down your bones and replaces them with new bone and that the cells in our bodies contain over 100,000 different proteins comprised of 20 different amino acids essential for health? Your body is alive and growing. But is it growing healthy cells or broken cells? To answer that question, look at what you put into your body. If you don’t feed your body what it needs to rebuild, poor health is the result. It’s that simple. Why do I need NeoPak®? In recent years, scientists around the world have consistently demonstrated through clinical studies that people who supplement their diet with proper amounts of vitamins, minerals, enzymes, essential fatty acids, phytonutrient rich fruits and vegetables, bioflavinoids, and superfood source nutrients have significantly lower rates of illness. Chances are, the ingredients in the food you eat have been sprayed with pesticides made from sewage sludge, injected with growth hormones, or ionized with radiation. Even the healthy food we eat does not contain the nutrients it did 100 years ago. NeoPak® helps bridge the gap between what we actually eat and what the body needs to regenerate healthy cells and prevent illness and disease. NeoPak® contains nutrients derived from high quality, precisely balanced, toxic free ingredients. You could spend a fortune trying to take each of these products individually, but NeoPak® combines them to help you achieve better health easily and affordably. NeoPak® combines a variety of sea greens that grow in shallow, mid level, and deep water—a source virtually unaffected by air pollution, water pollution, and harmful chemicals. The phytonutrients from sea vegetation grown and harvested from ocean waters are among the purest natural sources of many vital nutrients. The mineral content of sea vegetation is superior to land vegetation. In addition, other essential vitamins, minerals, enzymes, omega-3 fatty acids, and antioxidants are combined in NeoPak® to support your need for excellent food supplementation. All of these have been researched for their numerous benefits to improved health. I already take a multi-vitamin. Why switch to NeoPak®? There are huge quality differences in supplement ingredients and especially in multivitamins. Also, standard vitamins do not contain all the nutrients, enzymes, antioxidants, and phytonutrients needed by the body everyday. The body cannot readily absorb many cheap vitamin ingredients. Although the label may say, for example, that high levels of zinc are in the tablet or capsule. In reality, we might be able to absorb less than 10% of what’s in them. So, most people taking typical multi-vitamins think they are getting everything they need, but they are not. © 2019 Quest Group USA LC All Rights Reserved.